Andrew Ryan is an Irishman comedian. Irishman Andrew Ryan made his comedy circuit debut in 2008 when he spontaneously entered an open mic contest. Andrew’s quintessentially Irish storytelling abilities and cheeky, friendly demeanour make him a natural observational stand up. He performed his debut hour show ‘Ryanopoly’ at the Edinburgh Fringe Festival in 2012, receiving rave reviews. In 2014 he returned with his latest show ‘The Life of Ryan’ playing to packed out rooms. In 2015 he was at the Edinburgh Festival with his latest show ‘Perfectly Inadequate’. Selling out his run at the Festival and having to put on extra shows. He returns again to Edinburgh in 2016 with he new show ‘Ruined’. 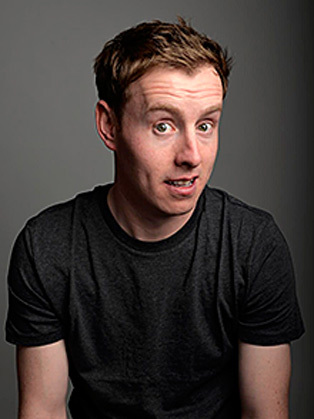 He has performed stand-up on BBC3’s Russell Howard’s Good News, Best of the Edinburgh Festival Live on BBC3, Live at The Comedy Store for Comedy Central, & Live for MIND on Comedy Central.